Here are some of the projects I’ve enjoyed working on for different clients. Some of them have been kind enough to share some words of praise as well. The Tasmanian Institute of Agriculture (TIA) is a joint venture between the University of Tasmania and the Tasmanian State Government, and is the key public provider of agricultural research and development in Tasmania. TIA enlisted Melbourne consulting firm Roberts Evaluation to assist them in formulating their new approach to Monitoring, Evaluation and Reporting (MER), and I was brought in to add an IT perspective to the resultant systems requirements of the new approach, and make recommendations following business analysis of TIA’s project management and MER methodology. 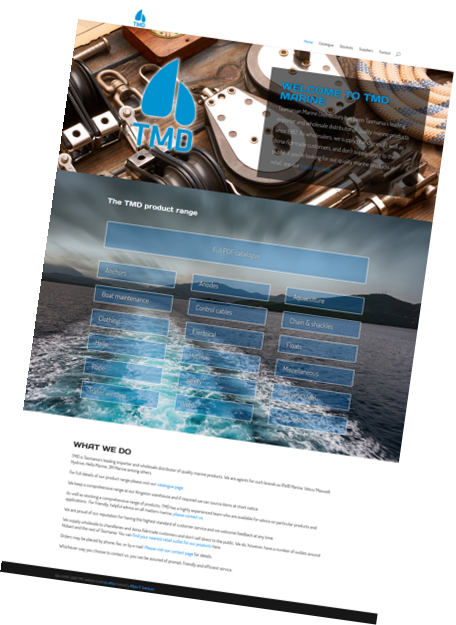 TMD Marine is Hobart’s specialist chandlery wholesaler. 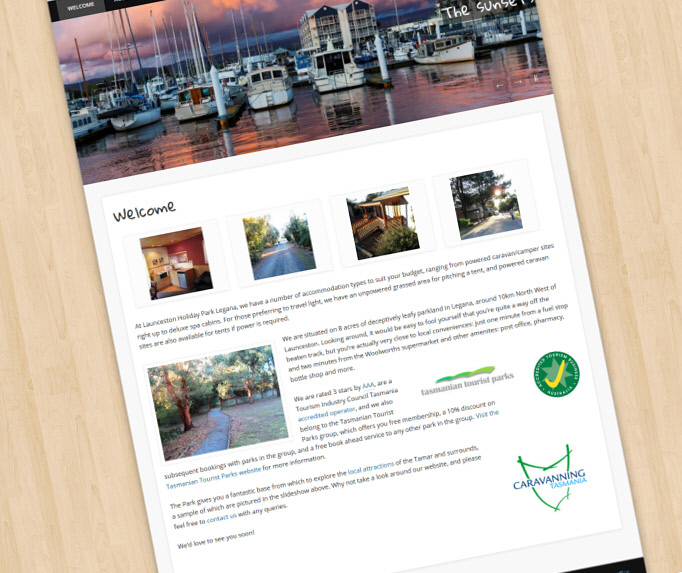 While the business already had a website, they were keen to bring everything under local management to ensure top support, and asked me to give the site a freshen-up while I was at it. Revolve Arts has had a web presence for many years, but it was starting to look that way. I was approached for advice on how to incorporate online singing lessons into the site’s content, in addition to giving the site a fresh look. I suggested a two-stage approach to get the site content current first, while lesson content was developed. The site was already enjoying good results with search engines and it was important that this was carried over into the new layout – onsite search engine optimisation was improved and offsite facets were tightened up. AutoDoc HSE is, at its simplest, a PDF printer driver. 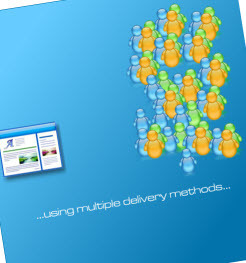 However, its genius is that it can be configured to perform document delivery on a batch basis. The system works so well it’s used by companies such as FedEx in the US. The problem for its developers, Streamline Software, was communicating the system’s flexibility and features to end users and administrators. 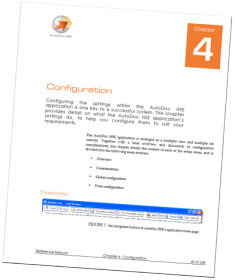 I provided a number of levels of communication to accompany the product: a fully indexed, 249-page software reference manual which documented every single control in the software, a quick start guide, a flash presentation for the website, and training videos targeted at different levels of users, from basic overviews through to instruction for database administrators. Hans Wallaart, Streamline Software, The Netherlands. Launceston Holiday Park Legana knew that the lion’s share of its business came via its website. The website had served very well, but it had become something of a piece of internet history. Annette Chorley, Owner, Launceston Holiday Park Legana, Tasmania. Biosensis produces reagents for life science research. Based in Adelaide, it has an office in the US and distributors around the world. 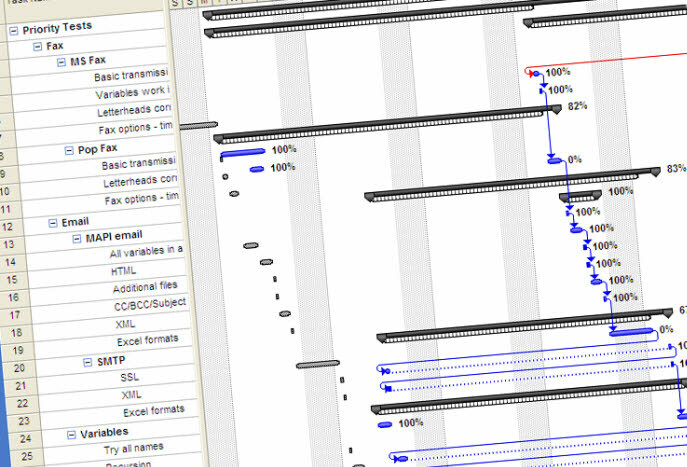 Part of Biosensis’s business process involved extracting data from a large text file. 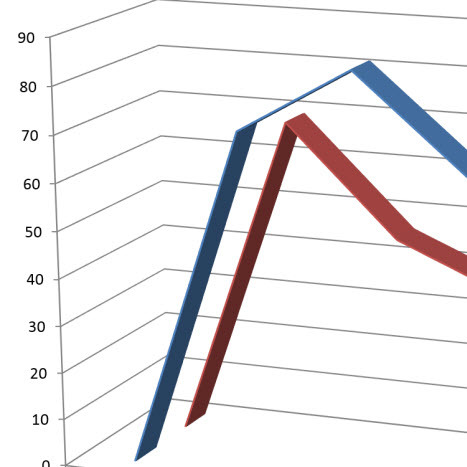 A custom-built FileMaker Pro application was tying up a computer for days to do the job. I was asked to provide an alternative. The existing tool struck me as overkill for what was a relatively simple task. 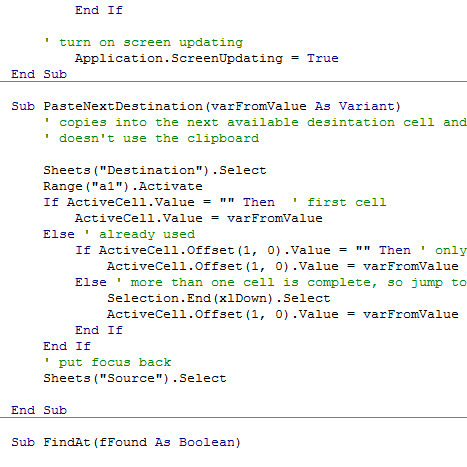 So I used Microsoft Excel – which meant no further expense to Biosensis on software – to write some VBA script to extract the data and output it in the format of choice. Prof. Robert Rush, Biosensis, South Australia. Masterbrokers tracks stocking levels of a wide range of foods in major supermarket chains on behalf of wholesalers. When Masterbrokers ‘came up against a wall’ with reporting, its IT infrastructure provider recommended contacting me to discuss possible solutions. The data was stored centrally, but in a form that didn’t enable flexible reporting. There were also constraints around what could be done with the existing system. Working within those constraints, but recognising the need to provide a way to mine the rich dataset for maximum value, I developed a Microsoft Excel template to accept a raw data export from the more rigid existing system. This enables completely flexible reporting based on the parameters the client chooses, on the fly. With a team of plumbers operating throughout Hobart and its surrounds, Southern Plumbing has a well-established customer base in corporate, civil, and private spheres. 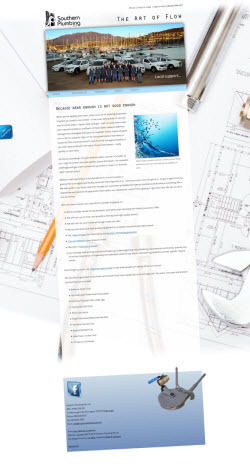 Updating the website and making it editable was a big priority in Southern Plumbing’s push to bring their business up to date on all fronts. I met with them to discuss their aims for the business, then set about overhauling the site, creating a completely new design. I crafted the home page introductory text and much of the other copy, and also updated existing copy for the sake of search engine optimisation. I recommended a photographer to get some interesting shots of the team and their work. Landcare Tasmania manages millions of dollars in grants and hundreds of projects across Tasmania including its own deductible gift recipient fund, the Tasmanian Landcare Fund. 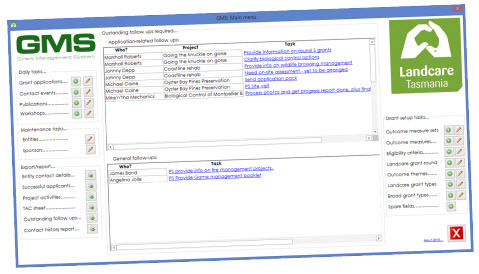 I was approached to make a recommendation on a system that would better allow staff to capture details of grant applications and associated data. 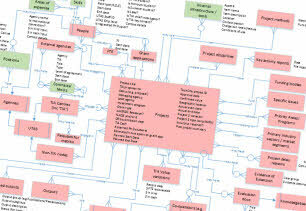 After a round of business analysis I’d developed a good understanding of the organisation’s needs. The organisation had inherited a Microsoft Access-based database, and key staff were comfortable using it. It wasn’t ideal for a genuinely multi-user environment, including off-site access, but, as is usually the case in the community sector, budget was a big issue for the organisation. A compromise was reached – I developed the data entry screens in Microsoft Access and developed the database in a MySQL database. This provided a much more robust storage mechanism while still incorporating the features of Access with which staff were more familiar. This solution entailed no added infrastructure cost, because MySQL, which powers millions of websites around the world, is free. The organisation intended that the database would be an interim solution until more funding became available, but I always suspected that that money might be a long way off. 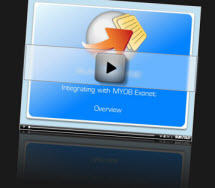 Therefore, I kept the database structure as flexible as possible to allow future enhancements. The system is still an integral part of the grants process, with several enhancements performed since. Margie Jenkin, CEO, Landcare Tasmania. As project manager for a large software company, tracking development projects in three Australian states and two other countries, I used to spend a lot of time using MS Project. It’s a great planning and reporting tool, but it can also be infuriating in the way it attempts to be ‘clever’ and override your decisions. Some of it is legitimate – there are a lot of settings behind the scenes that determine how the software behaves – but you need to have delved fairly deeply under the hood to understand the way it works. Mark at Blythe & Watchorn Builders knew his way around the software, but a few of these kinds of sticking points were causing him some headaches. He asked me to deliver some ad hoc training to address his specific questions. I came in for one session of ad hoc training, spending a little under an hour with Mark. We sorted out all the issues, and the problems disappeared straight away once I’d explained Project’s “idiosyncrasies”. Mark Smith, Site Works Supervisor, Blythe and Watchorn Builders. 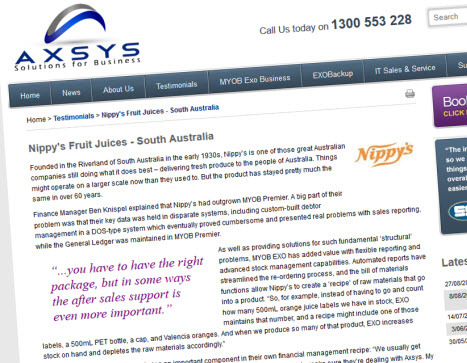 Axsys is a well-established Tasmanian IT provider with a track record of successful business that has seen an expansion into South Australia, Western Australia, and Victoria. I was approached to interview clients to prepare brief case studies detailing some of the key problems to which Axsys was able to provide solutions. With Axsys working with larger and growing organisations, I concentrated on providing information within themes that I knew would be relevant to people in dynamic businesses: maximising efficiencies, flexibility to accommodate growth, and the importance of post-implementation support. Marshall Roberts, IT guy who likes scythes. 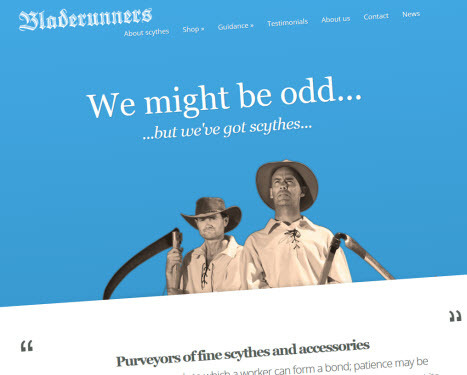 Bladerunners promote and sell scythes, online. Seriously. 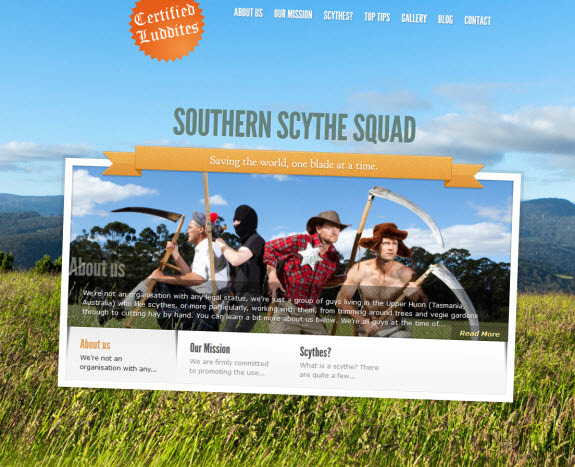 Marshall Roberts, IT guy who likes scythes so much he bought the company.